The people at Check N Click Learning and Technologies have created a simple yet powerful visualization of the Instructional Design process. The Periodic Table of Instructional Design is a good tool for those just now getting into the field or a great reminder of the basics for the veterans. If you’re accessing this website from mobile, click Periodic_Table_ID_Check_N_Click for the HTML5 version of the periodic table. 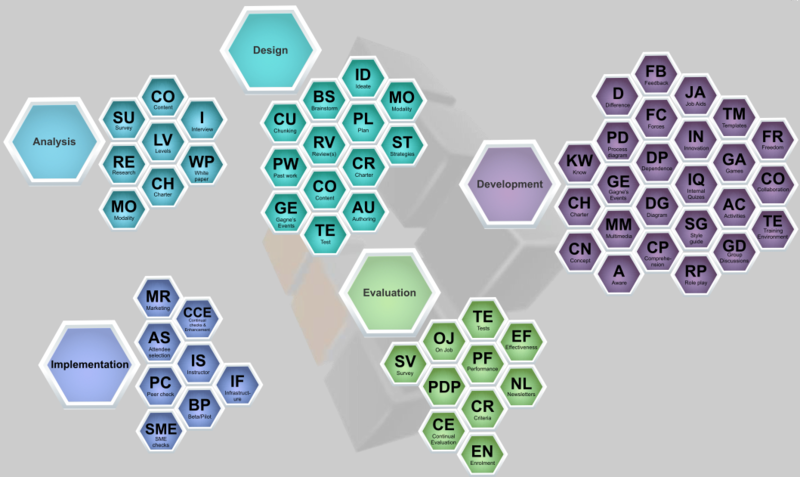 2 responses on "The Periodic Table of Instructional Design [INTERACTIVE]"
This is Lokesh from Check N Click Learning and Technologies. It is great that you liked our creation and better still that it is now on your blog. Also, thanks for the HTML5 version. Appreciate the gesture.